Revisiting the process of political community building in Estonia, Latvia and Lithuania, this book analyzes the roles that international actors have played in these processes and assesses the unintended consequences of this involvement. The study differs from other works on ethnic minorities and nationalism in the former Soviet Union by exploring the use of minority rights discourse and the salience of historical memory. Case studies examine the transformation of nationalism in Estonia, Latvia and Lithuania - all former Soviet republics - which have experienced Soviet nationalities policy first-hand. Primarily intended for an academic audience and practitioners interested in promoting tolerance in multi-ethnic societies, the book's historical narrative will also appeal to readers with a general interest in the former Soviet Union and post-Communism. 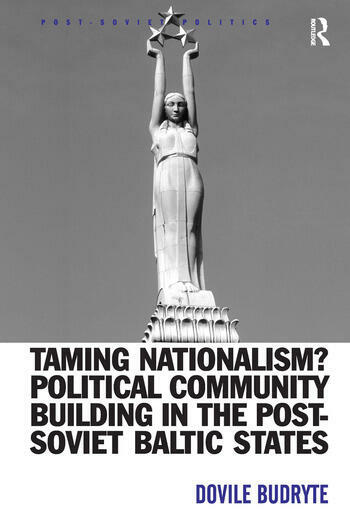 Contents: Introduction; Post-Soviet Baltic nationalisms in theories and case studies; Nation building or nation killing? Experiencing and remembering Soviet population policies; Post-Soviet Estonia: from restoration to integration? ; Post-Soviet Latvia: minority rights and the majority's insecurity; Post-Soviet Lithuania: pragmatic inclusiveness and fear of uncertain loyalty; Remembering the "Soviet Genocide" in the Independent Baltic States; Conclusion; Bibliography; Index. Dovile Budryte is an Assistant Professor of International Studies at Brenau University, USA. Her areas of interest include democratization and nationalism. She was a 2004 National Endowment for the Humanities grant recipient, 2000-01 Carnegie Council on Ethics and International Affairs (New York) Fellow, and a 1998-99 Fellow at the College for Advanced Central European Studies at Europa University Viadrina, Frankfurt (Oder), Germany, where she worked on a project dealing with historical memory in Eastern and Central Europe.